1. 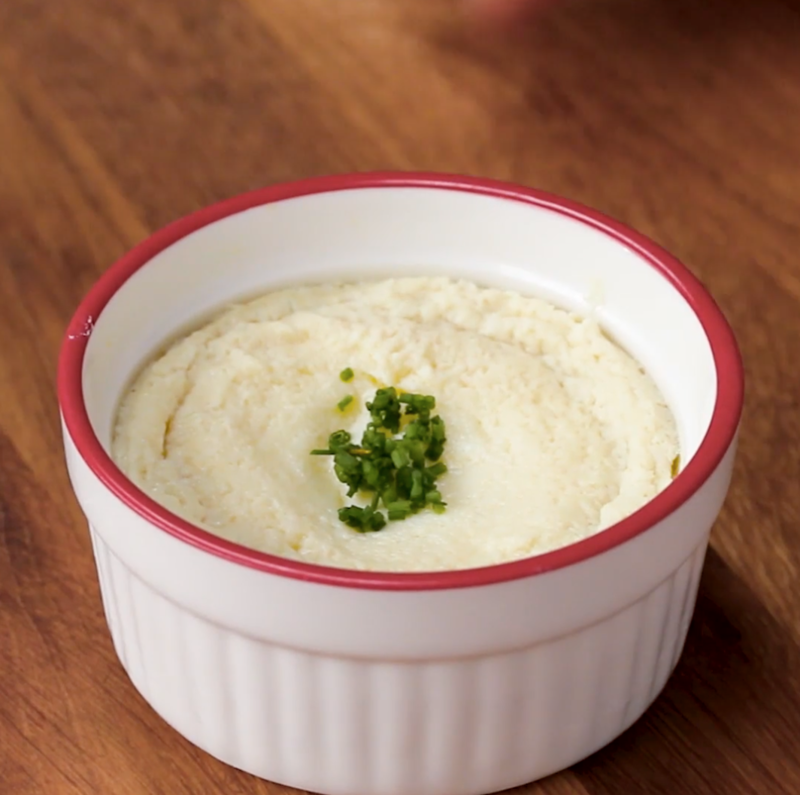 Make an omelet soufflé. 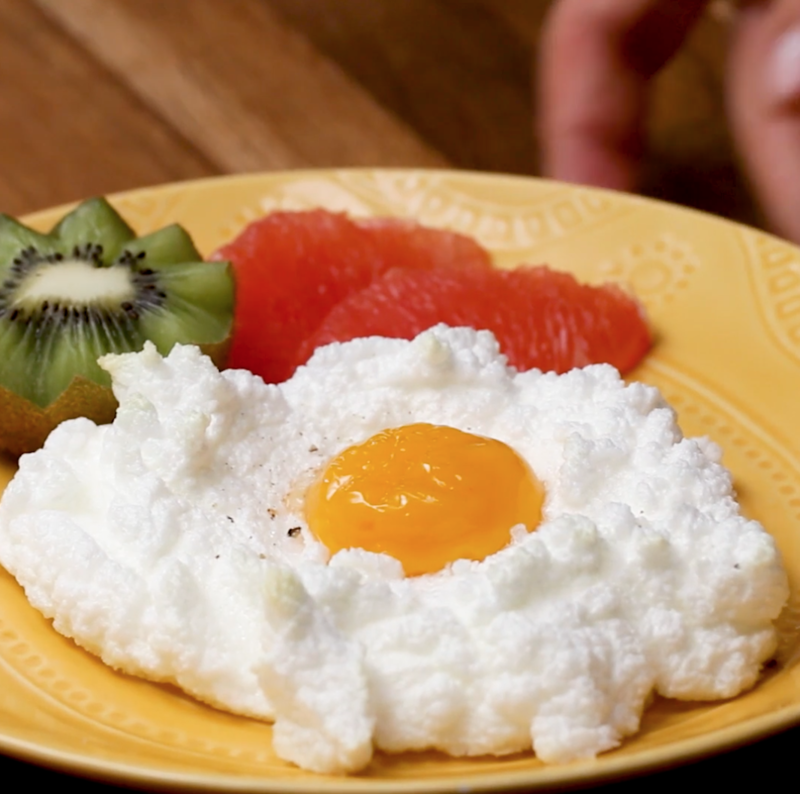 Beat the yolks until they're super creamy and the whites until you reach soft peaks. Combine both gently with a spatula, then pour the mixture in a pan with some butter. Cover and cook for five minutes. You'll end up with the fluffiest omelet of your life. 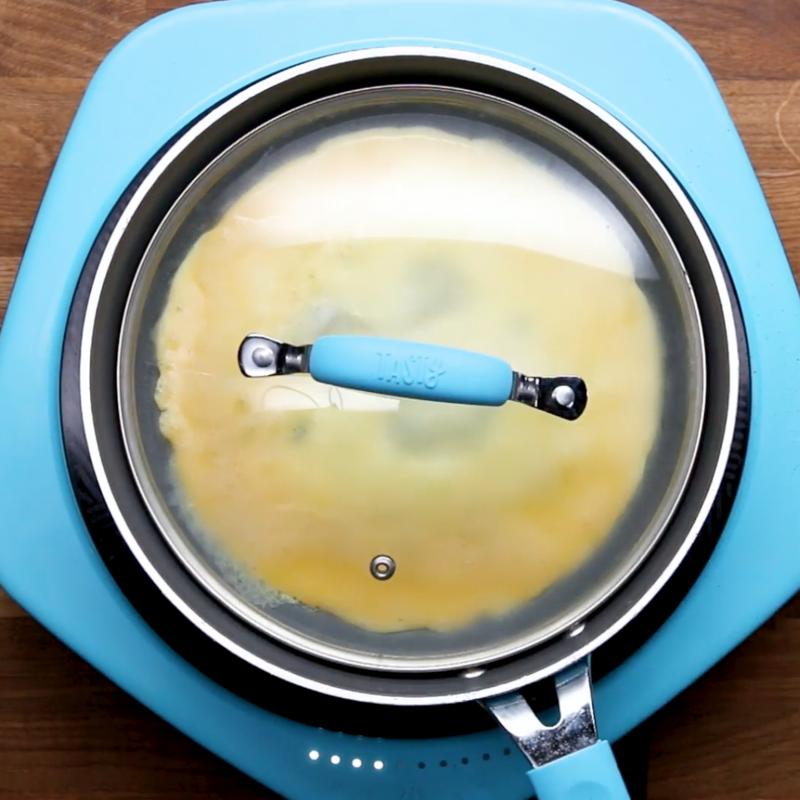 If you like your eggs fluffy and custardy, try steaming them. Fill a pot with about 1 cup water and bring to a boil. In a small heat-proof bowl, beat one egg with ⅓ cup water, and some salt and pepper. 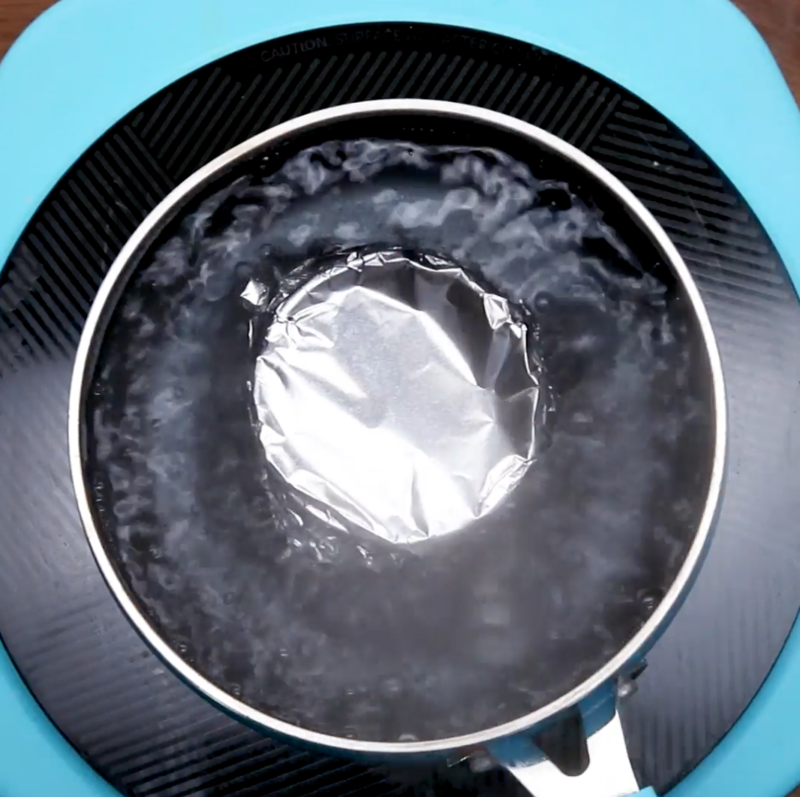 Cover the bowl with foil, place it in the water in the pot, cover with a lid, and steam for about 12 minutes. See how to do it. 3. Poach them in plastic wrap. The best way to make poached eggs for a crowd. 4. 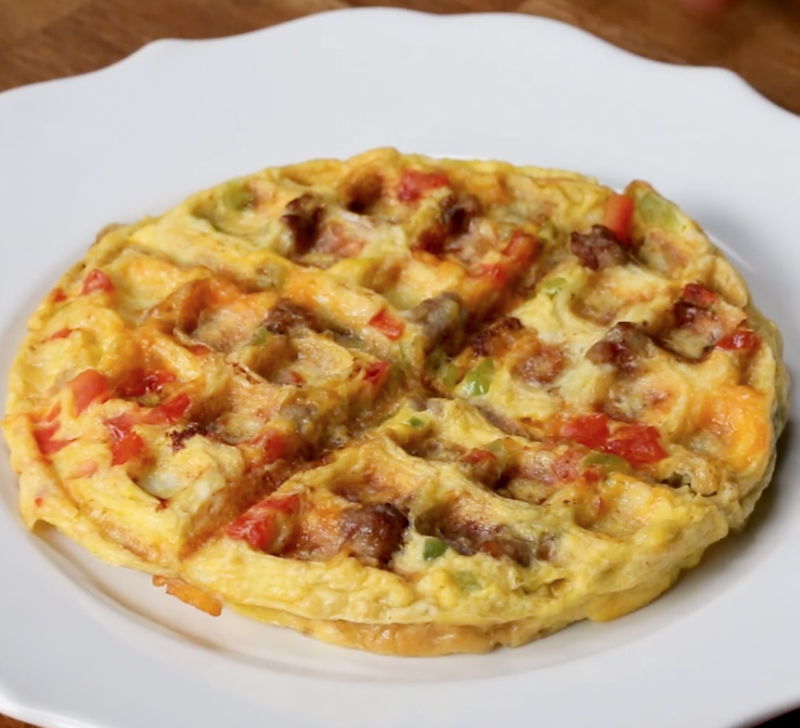 Make a waffle omelet by cooking your eggs in a waffle maker. 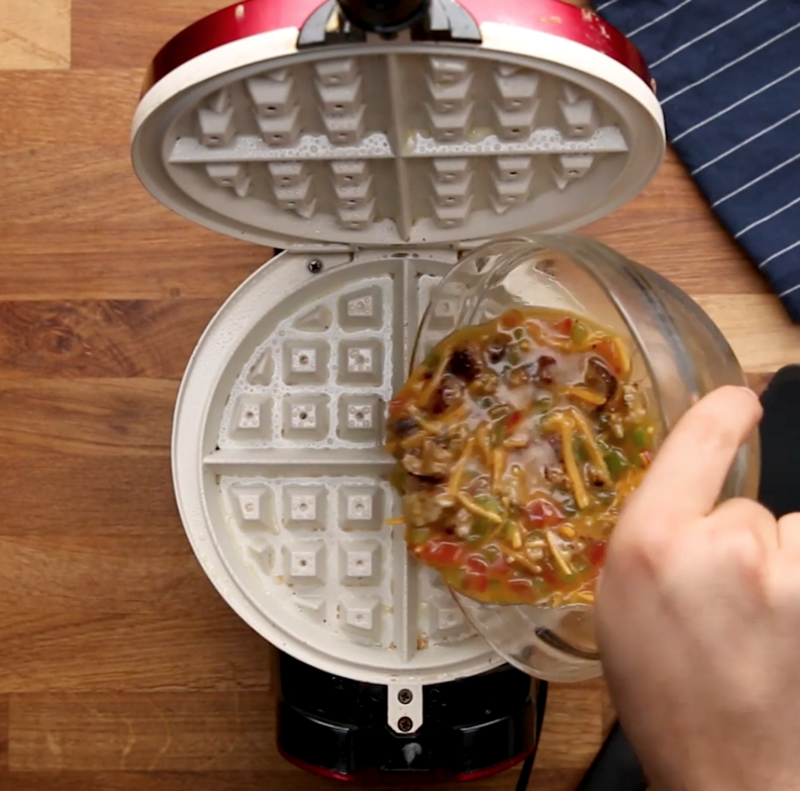 Instead of cooking your eggs in a pan, why not cook them in a waffle iron? 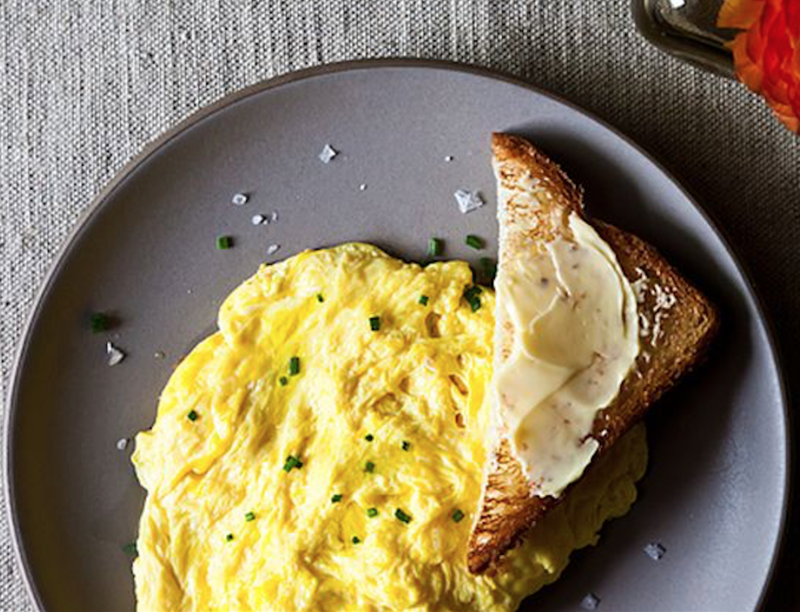 Prep your omelet like you usually would — with any toppings you want. Then oil the waffle iron thoroughly, pour your egg mixture, spread it over the whole iron, and cook for about two minutes. Voilà! 5. Make some egg noodles. 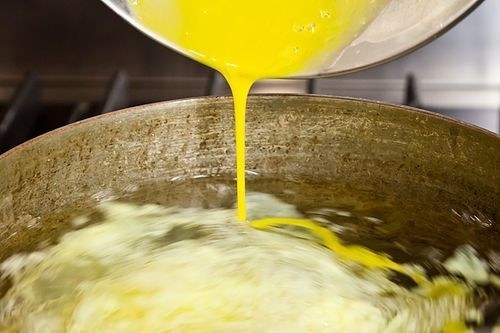 Pour two beaten eggs into a well-oiled pan. Don't stir, but cover with a lid and cook until they're completely set (it'll be a sort of crêpe). 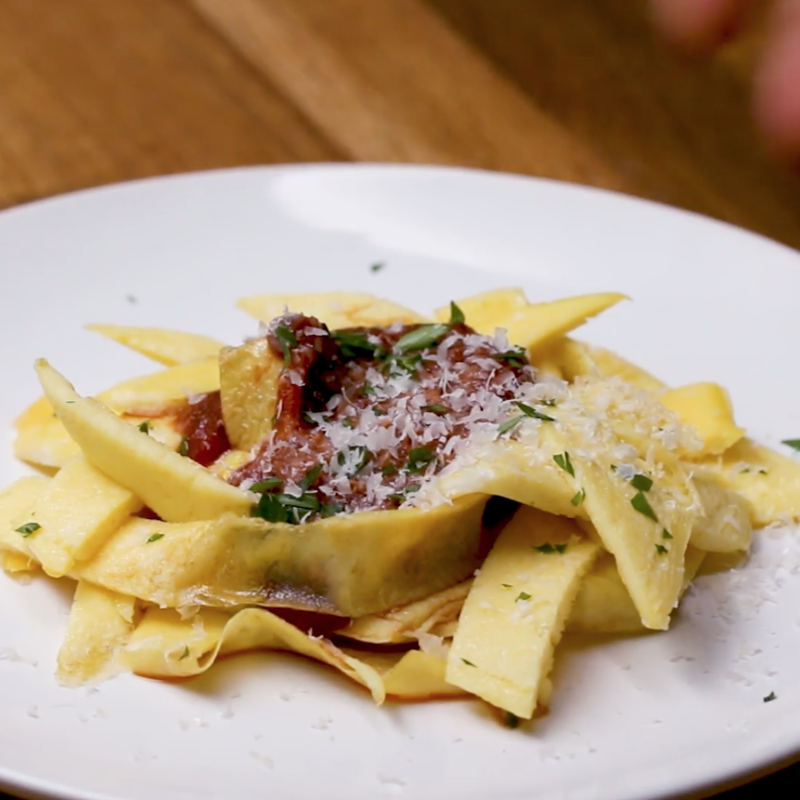 You can then slice it as thinly as you wish and use the strips as noodles by serving them with some sauce. 6. Make crispy eggs by breading poached eggs and frying them. Poach an egg, bread it, deep-fry it, and enjoy it! This method both looks and tastes good. Separate the yolks from the whites and beat the whites until you get stiff peaks. 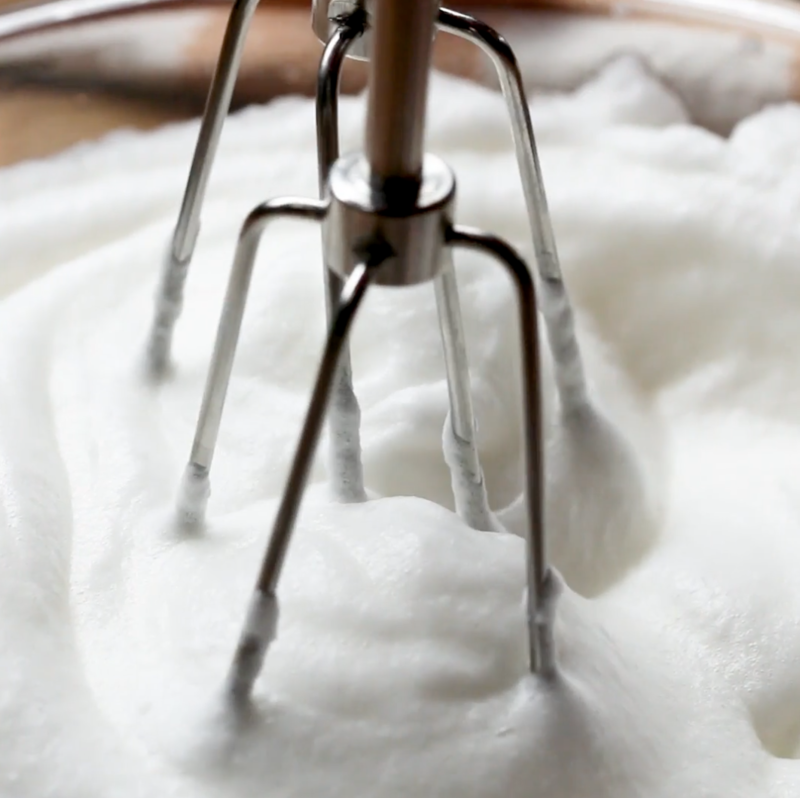 Spoon the egg whites onto a parchment paper-covered baking tray, forming clouds of eggs whites. Bake for five minutes at 350°F, then place the yolks on top of the clouds and bake for three more minutes. Enjoy immediately! 8. Cook an omelet in a Ziploc bag. 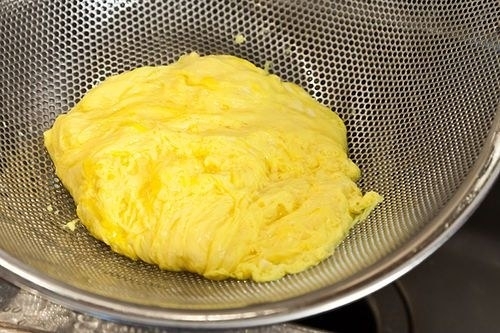 Place the beaten eggs and any filling you'd like to add to your omelet in a Ziploc bag, and cook it in a pot of simmering water for about 13 minutes. 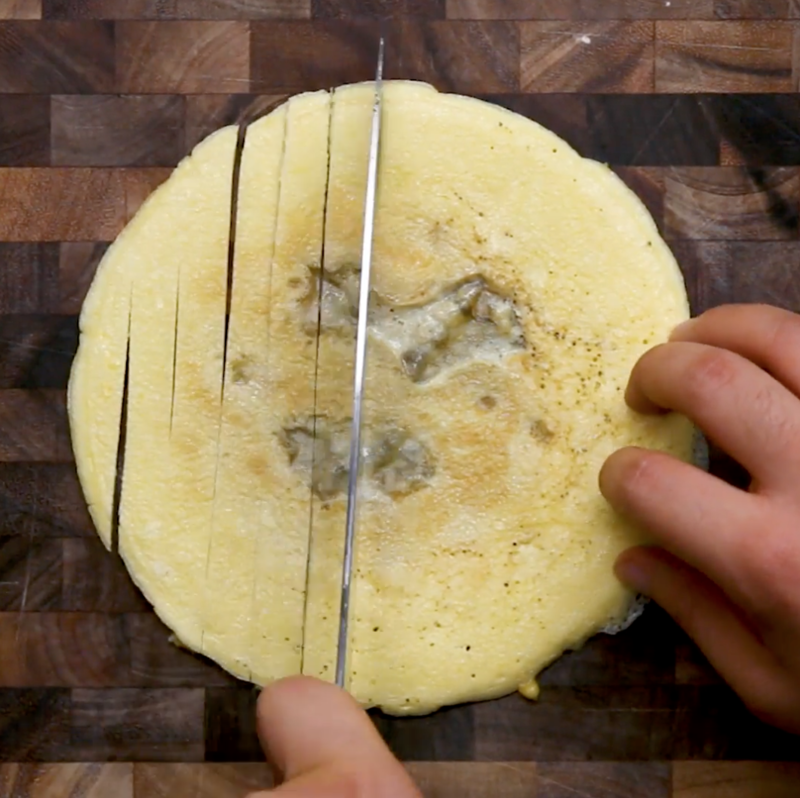 This hack is a campers' favorite but also a great way to cook several omelets at once. 9. Scramble eggs in a rice cooker. Turns out, rice cookers can cook much more than just rice. 10. 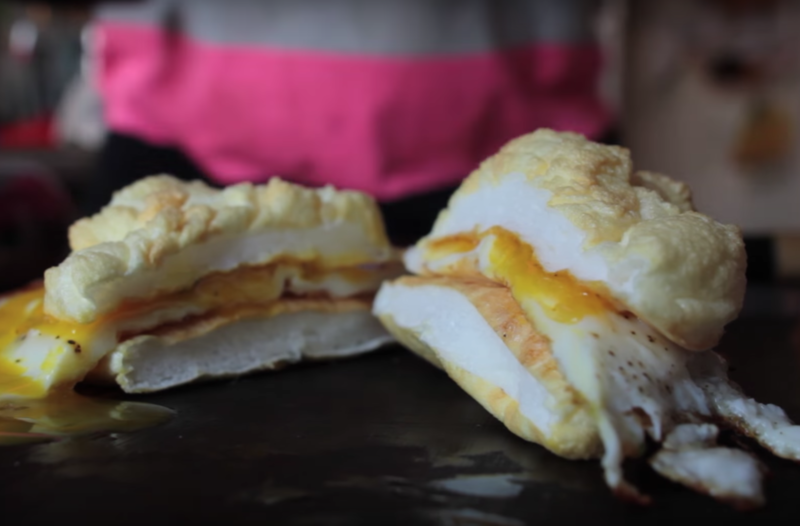 Make an egg sandwich with an egg bun. This one is a bit out there but if you're a true egg lover, it should speak to your soul. 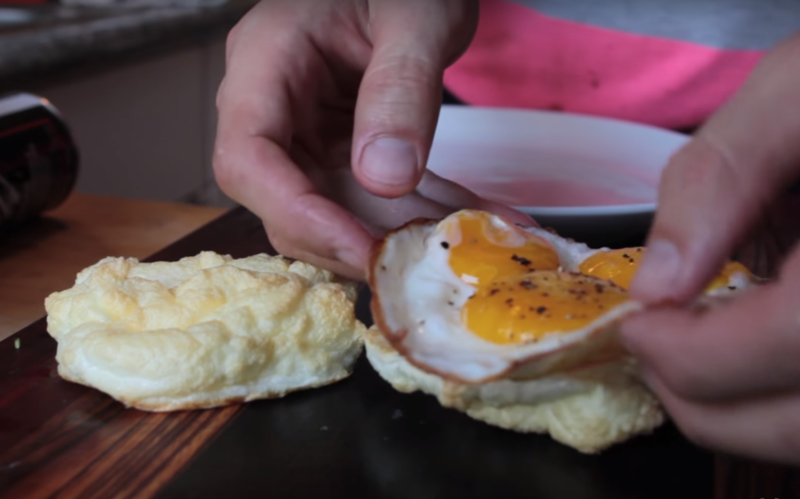 To make the bun, take two eggs, separate the egg whites from the yolks, beat the whites into stiff peaks, and bake them like you would for an egg cloud. The filling is basically a monster fried egg, combining a whole egg with the two separated egg yolks. Like I said, it's out there but it also sounds kinda awesome. 11. Scramble your eggs in a double boiler. "Low and slow" really is the secret to amazingly tender scrambled eggs. 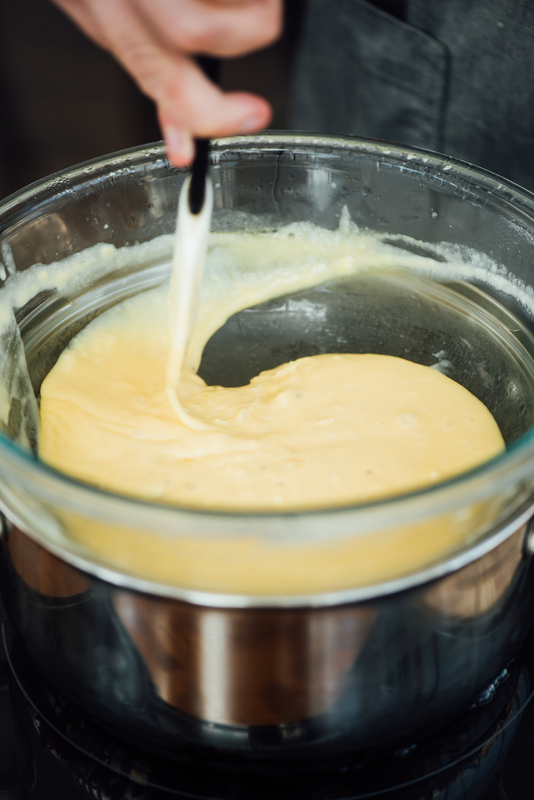 And the best way to go super low and slow is to cook your eggs over a double boiler (in a Pyrex bowl placed over a pot of simmering water, without it touching the water). They will take a while to cook, and you'll have to stir throughout, but it'll all be worth it in the end. 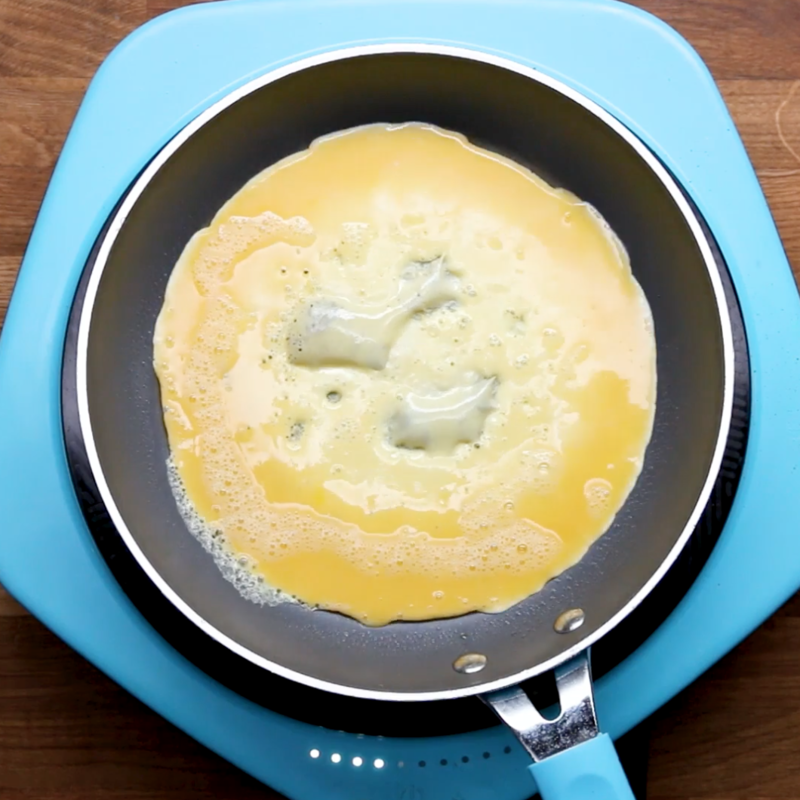 If you're not sure if you want fried or scrambled eggs, why not do a bit of both? You basically start off as if you were going to make traditional fried eggs but quickly break the yolk and stir a little to give them a marbleized look. 13. 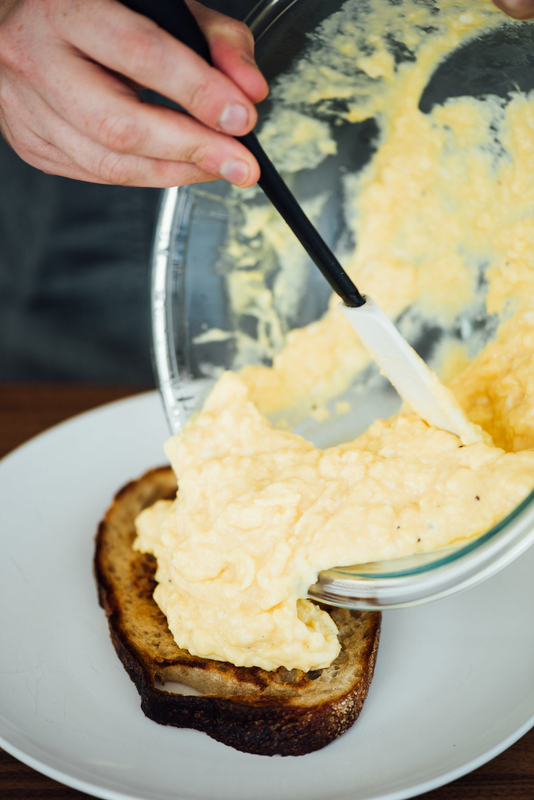 Add some seltzer water to your scrambled eggs to make them fluffier. A little bit of seltzer can do miracles in terms of fluffiness (it's also works with matzo balls, BTW). 14. Smoke your hard-boiled eggs to give them extra flavor. Place peeled hard-boiled eggs on a grill, cover, and smoke them on very low heat. They'll get a unique, smoky flavor. 15. 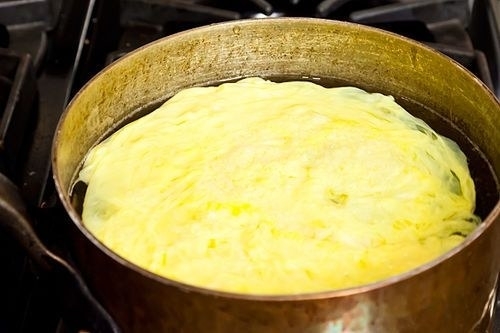 Poach your scrambled eggs in boiling water. These cook in about 20 seconds and the method is a mix between scrambled and poached eggs. 16. Make some crispy, deep-fried deviled eggs. Hardboil your eggs, peel them, then take the yolks out and save them for later. Bread the whites and deep fry them until crispy and golden. You can then fill them with your usual egg yolk mixture and you'll get crispy deviled eggs.